Everlast Blacktop is a concrete contractor that provides full-scale services with concrete driveways and stamped concrete driveways. Everlast Blacktop offers a trustworthy team of professionals who concern themselves with the details of your concrete job so that you don’t have to. 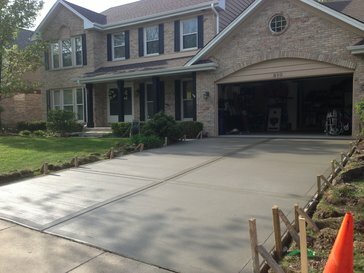 We are an honest concrete driveway contractor, many Batavia clients recommend us to family and friends. If you are looking for a commercial or residential concrete contractor than contact us today to get a quote. we stand by our name and our word as a responsible concrete driveway contractor. As a concrete contractor, Everlast Blacktop looks to add value to your home by using quality products with all of our concrete driveways and stamped concrete driveways. Everything we do at Everlast Blacktop is built to last. You can count on us to give you the quality concrete driveway you deserve at a competitive rate. Make us your go to concrete driveway contractor, we can be reached at (630) 855-5572. Now is the time to pursue your stamped concrete driveway dream. Find out firsthand why we are the top choice of many in the Chicagoland area!